Since 1932 the Kenosha Yacht Club (KYC) has been home to boaters and families from around the Western shores of Lake Michigan. We are dedicated to boating, sailing, youth development, lake preservation, water safety, and social life. The Kenosha Yacht Club is home to "Buccaneer-18 Fleet 15" as well as an active PHRF (Performance Handicap Racing) keel boat fleet. One of the outstanding benefits of membership in the Kenosha Yacht Club is the Youth Sailing Programs. Through the Kenosha Community Sailing Center (KCSC) we offer sailing instruction for both youth and adults. 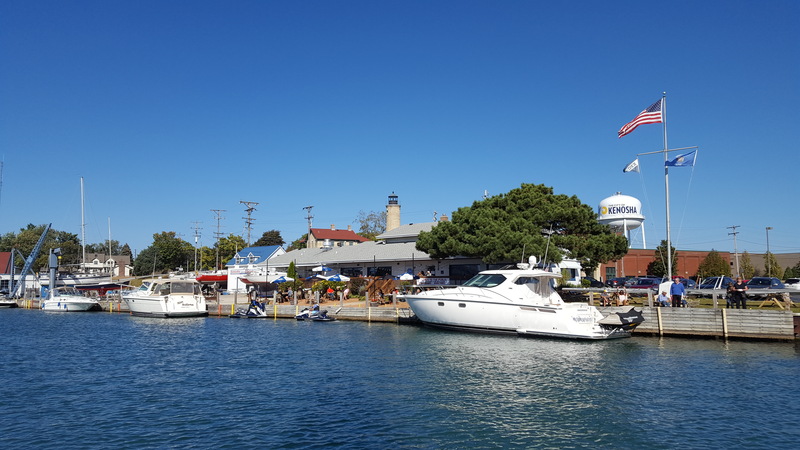 Many of today's Kenosha Yacht Club members do not boat, yet they see the KYC as the perfect place to meet and socialize with old and new KYC friends all year round. Inexperienced and casual golfers welcome!! Peoria Handicap System used to calculate a net score for each golfer to win prizes. NOTE: If you are NOT a member and would like to to receive the KYC Mainsheet newsletter, please click the Add Me To Your Mailing List in the upper left corner of this page and fill out your contact information. If you would like to join the KYC, just click Membership Signup. Click here for detailed Marine Weather from SAILFLOW.